Beinn Dubh or 'Black Mountain' is how Professor Norman Collie described Ben Macdui, the highest peak of the Cairngorm Mountains after his solo climb to the summit in 1891. 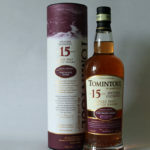 The whisky is described, itself potent and mysterious, uses water from Cairngorm's Black Mountain, and is perfectly finished in toasted port casks. This Cragganmore Distillers Edition was distilled in 2005 and bottled in 2017 and is finished in port-wine cask-wood. This Dalmore has been matured in American white oak ex-bourbon barrels and finessed by hand selected tawny port pipes from W&J Graham's vineyard in Portugal. 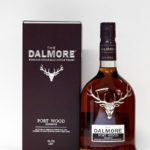 The distillery say they have purposely retained at 46.5% abv to complement the enticing warm flavours of the port and the classic taste of The Dalmore to create a whisky which is indulgent, smooth and complex. 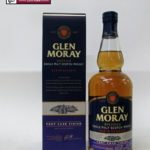 A Glen Moray Classic selected from the finest American oak barrels and finished for 8 months in Port Pipes. This superb Triple Cask Portwood Finish edition has been created by the careful selection of 3 port pipes. 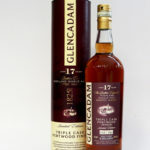 A limited quantity of Glencadam was transferred from Bourbon casks into the hand-picked Portwood casks to "finish" the maturation for a number of years. 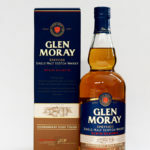 This process of finishing bestows on the whisky refined characteristics, most notably, tones of fruity Port sweetness. 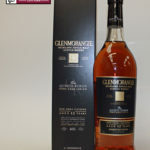 Glenmorangie Quinta Ruben owes its velvet rich smoothness and long finish to the highest quality Portuguese Port casks selected for extra maturation. Quinta Ruben is full-bodied and velvety rich in texture with a wonderfully long and smooth finish. 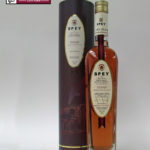 This Spey Tenne from Speyside Distillery has been finished in Tawny port casks and is one of 18,000 bottles. 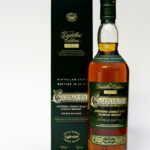 This is a multi-vintage bottling with a minimum age of 8 Years Old. Initially aged in bourbon casks, this bottling has been finished in the Tawny Port casks for 6 months. 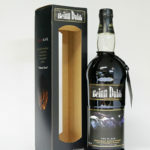 The colour and the subtle flavour of the Port melds with the whisky giving a single malt with youth and character.